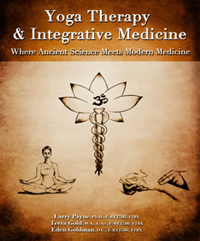 Yoga Therapy and Integrative Medicine: Where Ancient Science Meets Modern Medicine is the first collaborative integrative medical textbook linking modern medicine and alternative therapies with the ancient science of Yoga. Uniting a world-class collection of Yoga-oriented DOCTORS, licensed healthcare professionals, scholars, researchers, and Yoga Therapists hand-picked for their knowledge and wisdom, this book published by Basic Health Publications features insightful chapters from more than thirty-five contributing authors representing some of the top universities and leading Yoga Therapy institutions around the globe. Complete with over 150 pictures by artist Albert Soratorio, an extensive glossary, and diagrams detailing a wide range of yogic approaches, research, traditions, and practices, Yoga Therapy and Integrative Medicine is intended to help educate the general public, medical professionals, students, Yoga teachers, and academia on alternative treatment methods and Yoga Therapy’s application as a complementary therapeutic treatment approach. Acupuncture, Chinese Medicine, and Yoga Therapy by Terra Gold, L.Ac. An Instinctive Approach to Meditation Therapy by Lorin Roche, Ph.D.
AYURVEDA AND YOGA: Complementary Therapeutics by Vasant Lad, M.A.Sc., B.A.M.S. Family Practice Medicine and Yoga Therapy by Richard P. Usatine, M.D. Mastering Clinical Assessments and Observation in Yoga Therapy by Rick Morris, D.C.
Naturopathic Medicine and Yoga Therapy by Sarah Murphy, N.D.
Neurology and Yoga Therapy by Shri Mishra, M.D. Orthopedics and Yoga Therapy by Ray Long, M.D. Psychiatry and Yoga Therapy by Elizabeth Visceglia, M.D. Sports Science and Yoga Therapy by Leroy Perry, D.C. The Psychology of Yoga Therapy by Ira Israel, L.M.F.T. Yoga Therapy and Cancer by Jnani Chapman, R.N. Yoga Therapy and NURSING by Felicia Tomasko, R.N. Yoga Therapy and Nutrition by David R. Allen, M.D. Yoga Therapy for the Cardiovascular System by Art Brownstein, M.D. 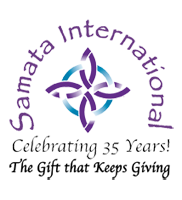 Yoga Therapy for Rehabilitation Professionals by Matthew J. Taylor, P.T., Ph.D.
Yoga Therapy and the Spine by Eden Goldman, D.C.
Integrative Restoration iRest Yoga Nidra: Healing in Wholeness by Richard C. Miller, Ph.D.
Integrative Yoga Therapy by Joseph Le Page, M.A. Kundalini Yoga Therapy as Taught by Yogi Bhajan by Shanti Shanti Kaur Khalsa, Ph.D.
Yoga Therapy Case Review: Chronic INSOMNIA by Shanti Shanti Kaur Khalsa, Ph.D.
Phoenix Rising Yoga Therapy by Michael Lee, M.A. Purna Yoga Therapy’s Approach to Healing by Aadil Palkhivala, N.D., J.D. The American Viniyoga Institute by Gary Kraftsow, M.A., and Claire Collins, Ph.D. The Yoga Therapy Rx PROGRAM by Larry Payne, Ph.D.
Scientific Research on Yoga Therapy by Sat Bir Singh Khalsa, Ph.D., and Heather Mason, M.A. Yoga Therapy and the Future of IAYT by John Kepner, M.A., M.B.A.